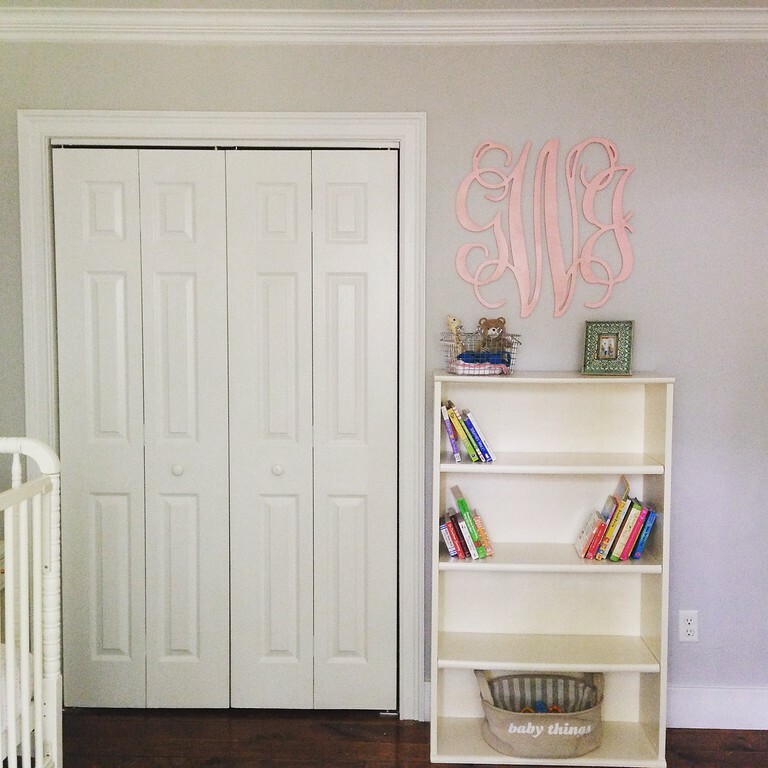 Baby Girl’s Nursery is Ready! 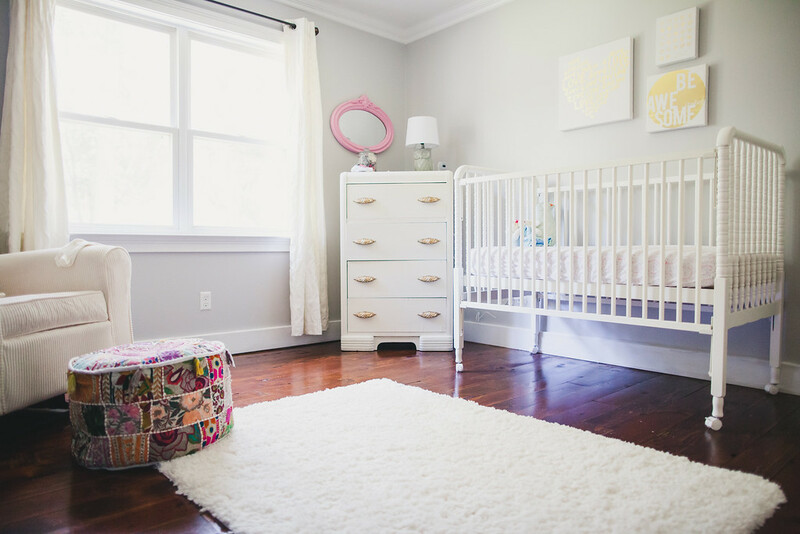 We have finally put all the finishing touches on Baby Girl’s nursery! I am so excited with the way it turned out. I had an idea in my mind that I didn’t want it to be too “girly”. I wanted more of a boho-chic feel. I actually bought a pouf ottoman cover on Etsy which was the inspiration for the rest of the room. 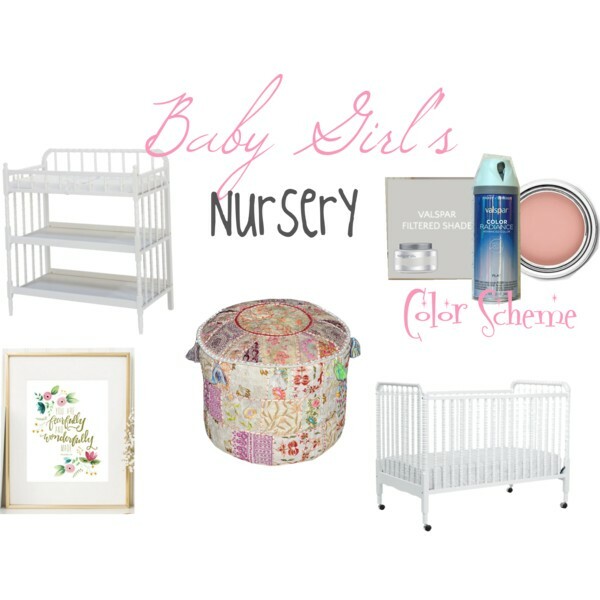 HERE is the original post for my nursery inspiration! 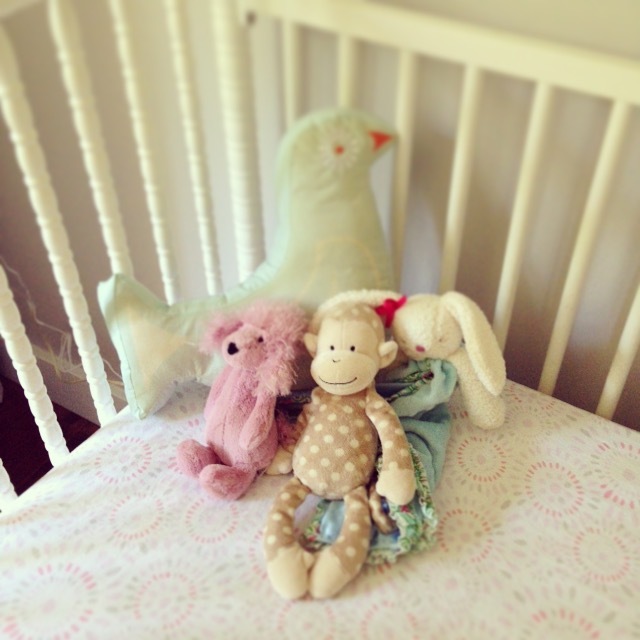 I used the same crib we used for Turner’s nursery. I found the dresser at a local consignment shop. I loved the cream color with the gold handles! 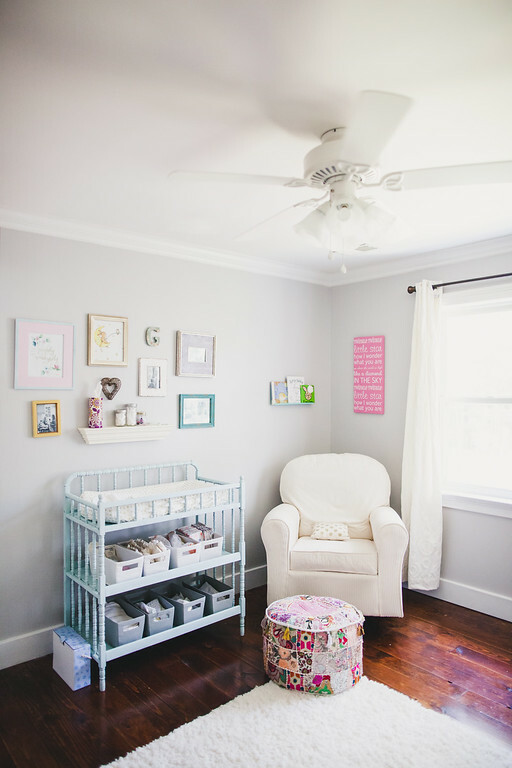 The wall art above the crib is from TJ Maxx. I got that before I even knew we were having a girl! I figured, I could use it in the nursery, and if not, I’d put it in my office! 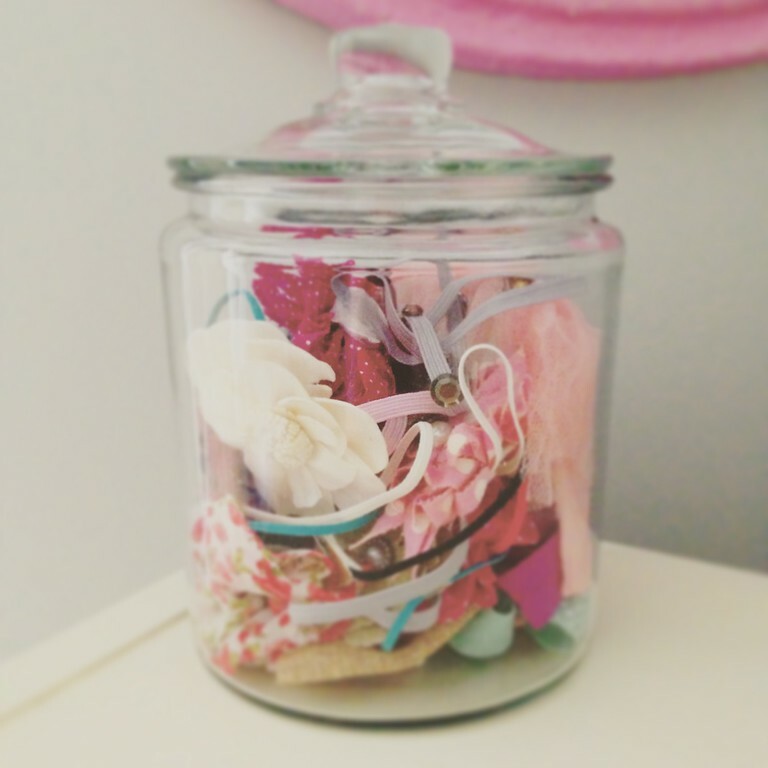 I plan to keep her headbands in a glass jar so they’re easily accessible. Plus they look cute on display! 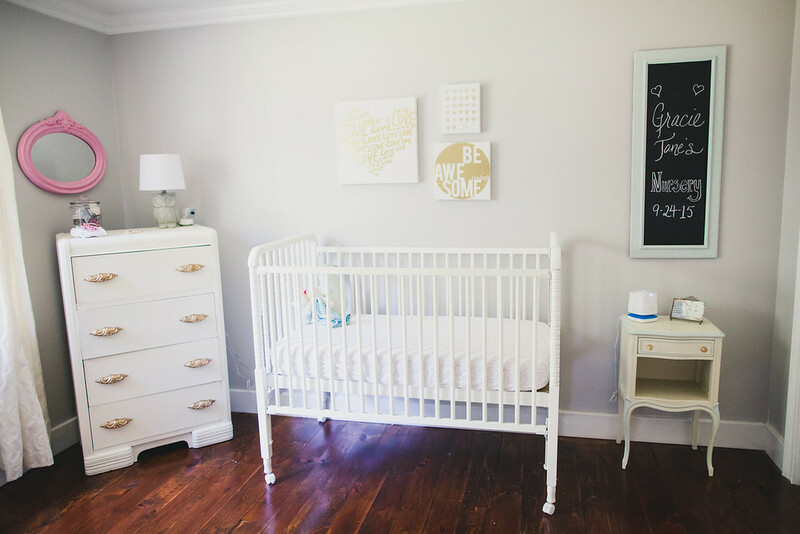 Now that the nursery is ready, all we need is our little bundle! Counting down the days until we meet our sweet little girl! 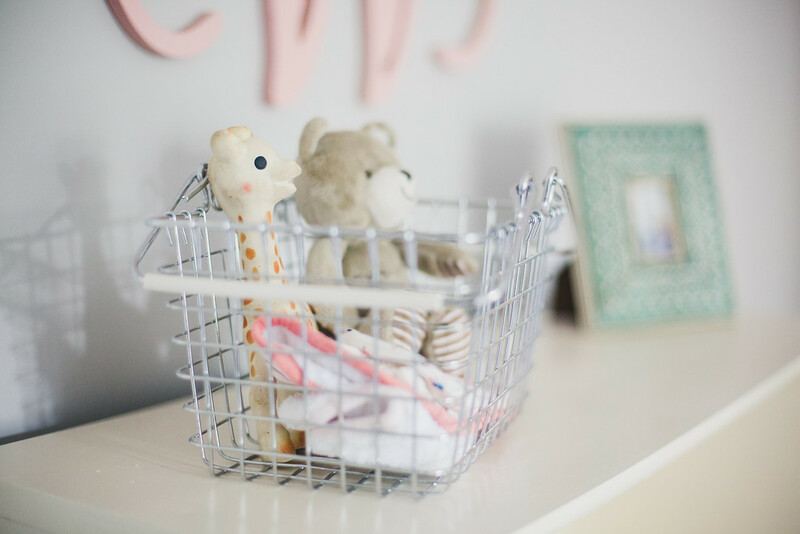 We’re finally making progress on Baby Girl’s nursery! It will be more of a bohemian style rather than girly style. The walls are Valspar’s “Filtered Shade Gray” and the accent pieces are light pink and teal (Valspar’s “La Fonda Mirage” to be exact). Stew is putting up trim as we speak, and I’ve got all of the furniture and most of the wall art picked out. 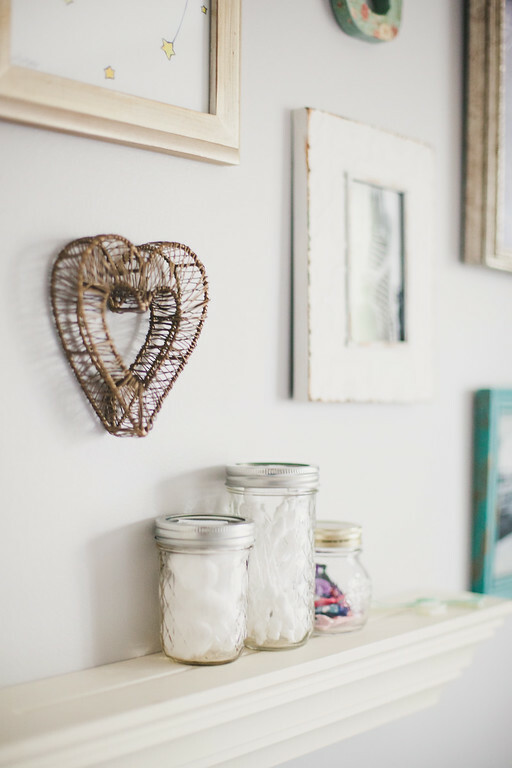 It’s just a matter of organizing it and pulling the room together! The most exciting part will be organizing all of her little clothes, headbands, leggings, and hair clips into jars and baskets. I thought I’d share a few of the pieces I’ve collected before the big reveal! More to come!